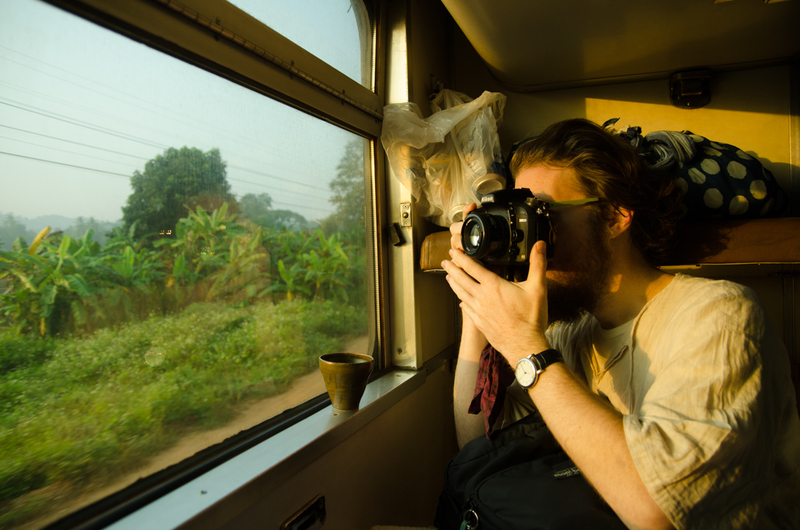 As a testament to an unconventional year, we spent Christmas on an overnight train from Chaingmai to Bangkok this year. Although we took the trip with our good friends Tomo and Pattarapol, and there were a few bright red Santa hats walking around the train, I somehow missed the smell of pine needles. Also missed was the giant meal that “Mama Nini” no doubt prepared back in San Jose. 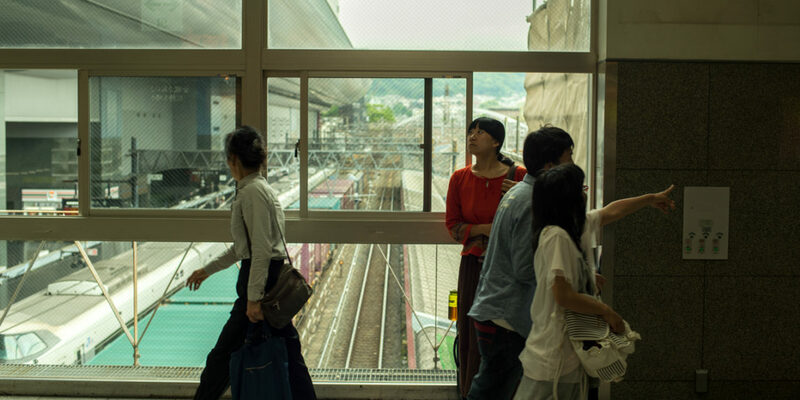 Our dinner – bootlegged onto the train – consisted of crackers, chicken, and beer. Not so elegant, but for us it was a feast. The train ride too, was an excellent Christmas gift. 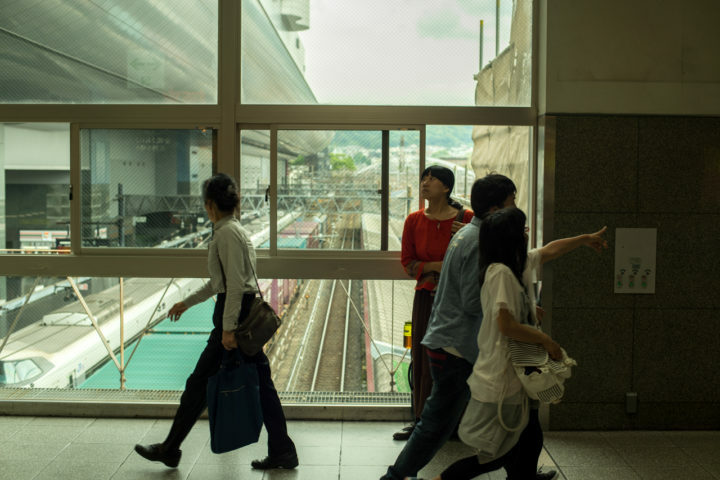 Looking back on 2016, it’s hard for us to believe, but nearly half of the year was spent in Japan. Primarily, this was to tour our documentary film in the spring, where we made our way to nearly 50 venues, showing the film up and down nearly the entire archipelago from Okinawa to Hokkaido. 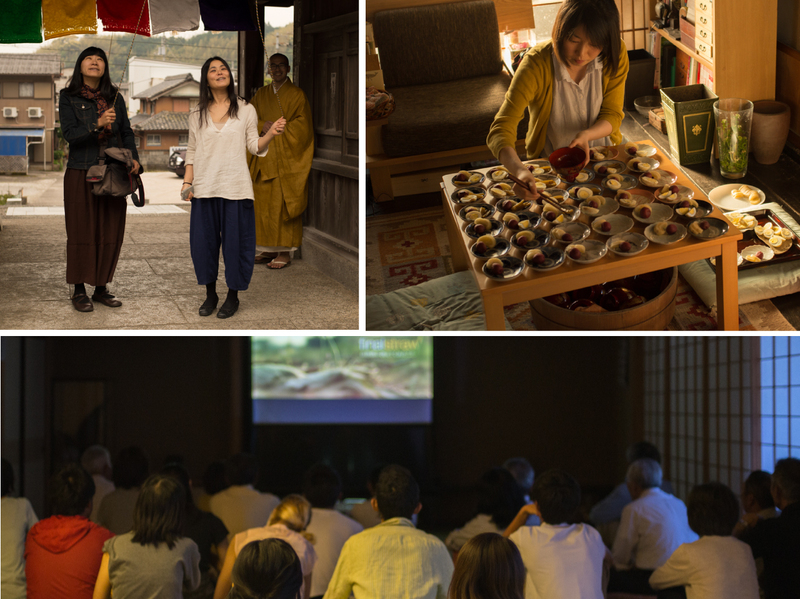 We screened at every kind of place you’d think a film could be screened, small theaters, universities, cafes, community centers, as well as a few unlikely ones, like a hair salon and a Buddhist temple. The reoccurring theme everywhere, was good food and good people. Thanks to the support of various community and local activist groups, and the hard work of an army of volunteers, we’ve had the good fortune to tour the Final Straw film to over 130 places. It’s already subtitled in English, Japanese, and Korean, and is currently being translated into four new languages by volunteers in China, Vietnam, France, and Brazil who approached us after having watched the film. All of this, as it has always been, is volunteer driven. Our friend Kaori Tsuji produced the Japan tour for us, not because she knew it would be a big money maker – we were lucky to break even on it – but because the message of the film resonated with her deeply. Like us, Kaori wanted to spend her energies to share something good, and to inspire people and communities. During the tour we also learned that we’re not alone in this. We had no idea there were so many small communities of people young and old around the world who were actively imagining and building new foundations for of how they think society should work; or that these communities were active both in cities and in the countryside; or that that these communities were building small, resilient, and sustainable towns, villages, and urban neighborhoods that put the well being of people and the environment before economic gain. Well, we know now, that most definitely, there are. We certainly didn’t know that such a movement was spreading on such a scale, and the places we visited over the span of the tour gave just a small sampling of the groups of people who are really putting their efforts into viewing themselves as part of what I like to call an “ecology of one“. The shift in mindset is everywhere — except of course, in the newspaper and any other form of mainstream media — and it is absolutely inspiring to see it in action. After the film tour, we spent a month as artists in residence in for the Robert Callender International Residency in Scotland. The residency is part of an award garnered during my MFA studies in Edinburgh, and this is the second of two residency periods that the award afforded us. During the time in Scotland, we were able to work on developing our paper making skills — skills we later used to help a community imagine how they can creatively re-use their waste paper. The residency director also kindly introduced us to an inspiring man who runs the Center for Stewardship, where we co-hosted a film screening and nature art workshop. The time here was a well-needed break after the intense tour. 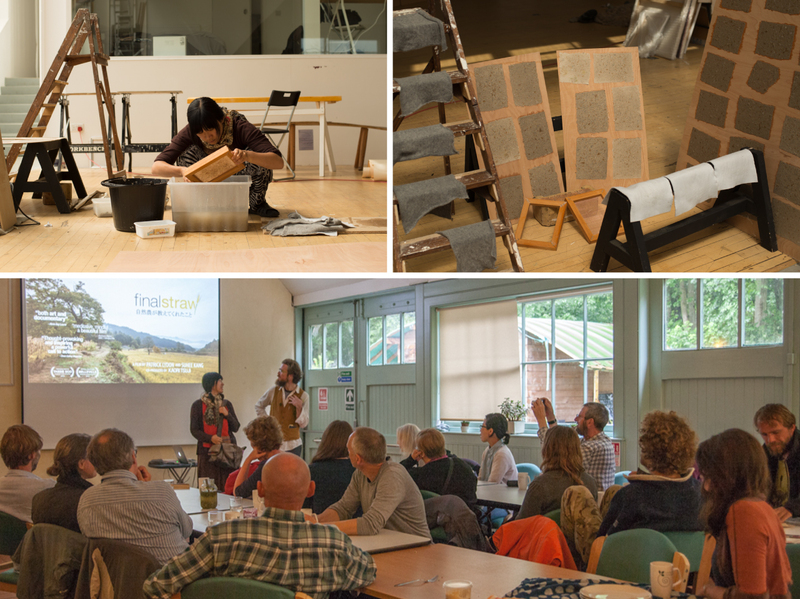 It was also fruitful for us in terms of developing our work, and learning about some unique developments in land stewardship, and the social and ecological challenges that Scotland is still working through as shakes off its historical caste system. From this experience, also came opportunities to exhibit work at Fettes College, and the Scottish Poetry Library in Edinburgh. I also have to admit that Scotland in summer is one of my favorite time/place combinations of all time. It’s not for everyone’s taste, but I enjoy the incredibly long days, and bright greenery fed by weather that, if one were to keep track of it, goes something like: rain, sun, cloud, sun, sprinkle, sun, sun, rain, sprinkle, sun, cloud, sun. And all that in a single afternoon! Not so in Scotland, where there are in principal no such signs. You can walk, hike, or camp anywhere in the country, and are afforded legal passage, even across otherwise private lands, granted you follow basic common sense rules. The Scottish understanding of the importance of human beings being able to go out and be in the nature of their country is a wonderful thing, but necessarily requires a culture of maturity and respect for nature and the land itself to work. Perhaps we don’t quite have a handle on that yet in the States. Ironically, the cheapest way back to Japan from Scotland was to stop in the north of Italy. Credit my personal travel agent (aka, Suhee) for arranging these things. 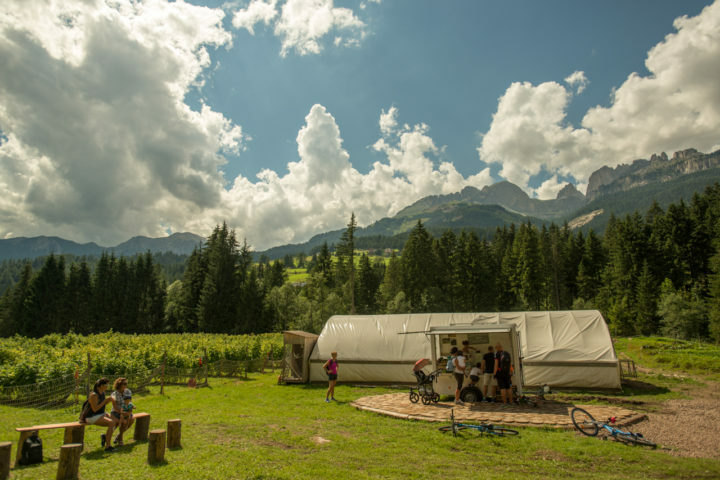 The travel itinerary gave us an opportunity to visit our friend Stephanie, who lives in the Dolomites in the north of Italy, and who recently started a mountainside biodynamic farm together with her brother and family. It was an inspiration to see their work, to be in this beautiful part of the world, and of course, to enjoy early afternoons picking fresh berries for the farm, and late afternoons putting them on top of fresh goat yogurt and eating it. Most impressive for us, was the positive response and appreciation that the community and visitors alike, have to what Stephanie and her family are doing. It’s easy for most of us to see when someone is doing work with truth in their heart and mind… it transfers into everything that they do no matter the occupation, and the glow of that work is unmistakable. 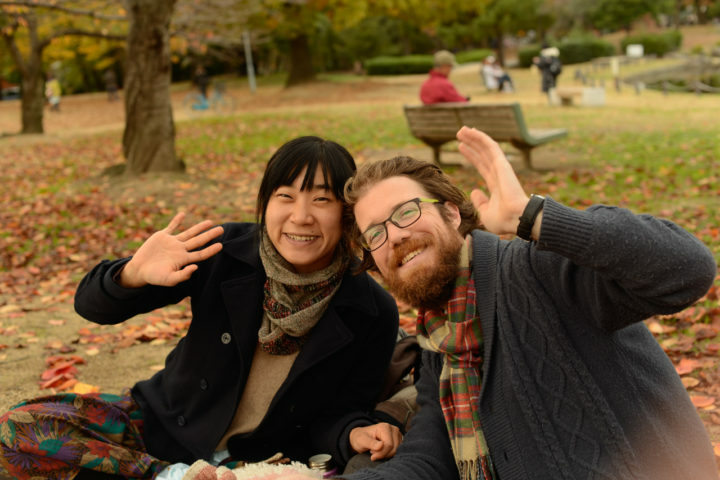 Autumn was spent back in Japan, where we planted ourselves in one place, literally. 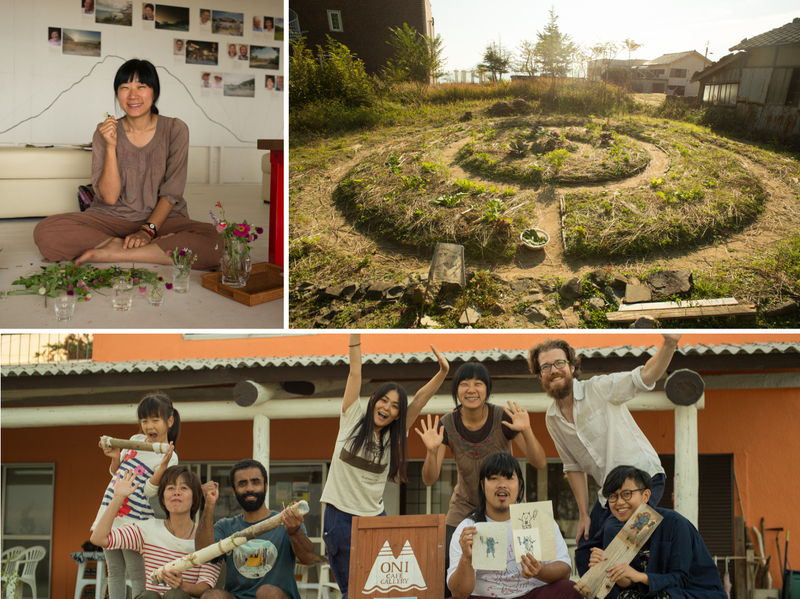 Working again with our friend Kaori, we built a natural garden and produced our REALtimeFOOD project for a second time in as many years. There have been so many threads we’ve followed these past years and this undertaking is one way of combining as many of these as possible into a single project. In REALtimeFOOD, we take ecologically-minded gardening, cooking, creativity symposiums, ecological craft workshops, and community regeneration, toss it all into a big pot and stir it for three months. The project is premised on us opening a restaurant where people order a meal, and instead of serving these people food, we have them plant a seedling in the garden, and ask them to come back to eat it in 10 weeks when it’s fully grown. Then we invite them to join a series of workshops that we’re hosting in the garden over the span of the growing season. All of it, necessarily, is tied into the local nature, local culture, and local history of the community we are working in. 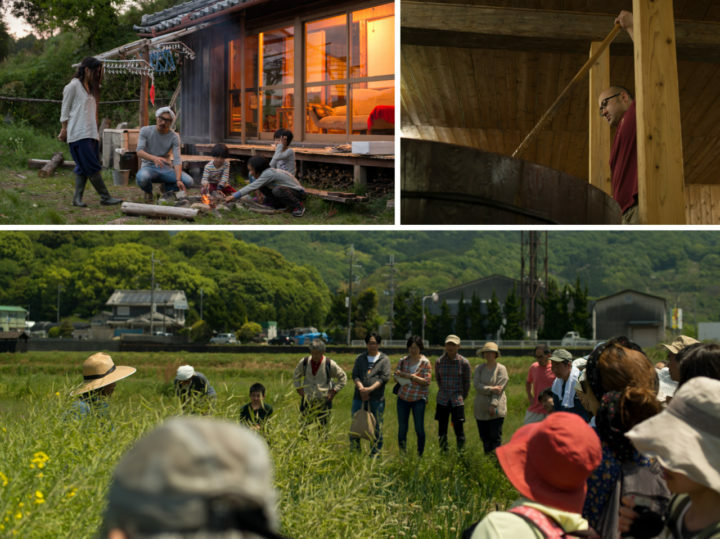 On one hand, this project is a way to put a reality check on our notion of how we buy and consume food, yet it’s also a way to simply celebrate the local natural resources in our own communities, and to realize the value that lies in them, both monetary and immaterial in nature. 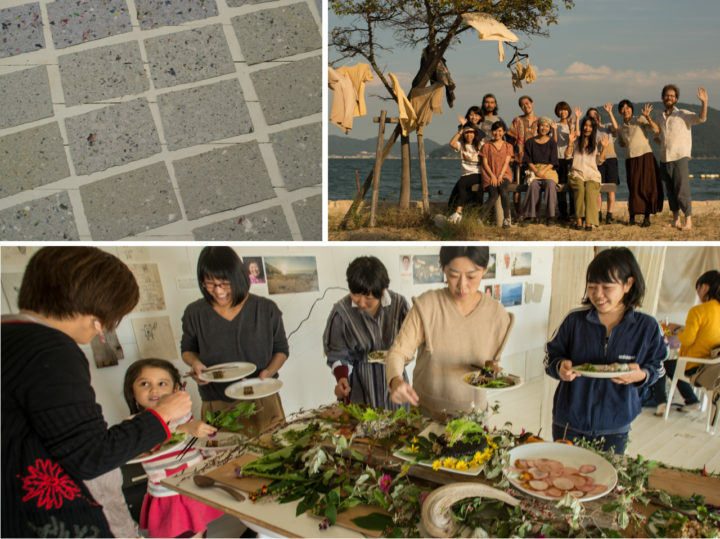 In this particular iteration, we worked on the island of Megijima to facilitate meetings between locals and a cast of visiting artists and creatives from seven different countries. The inspiration works both ways, with the visitors coming away with stories and inspirations from the local people and the land, and the (mostly elderly) locals being inspired by an influx of young creative people who were truly interested to learn from and hear these stories. With that project now behind us, we are spending some down time with Suhee’s family during the lunar new year’s holiday (a major holiday in Korea, as it is in much of east Asia) and working on finishing a book project that’s been on the side burner for too long. More details on that book later, but unfortunately, it will be published only in Korean for now! Finally, I would like to say that Suhee and I have taken a big step in our lives and have formally applied for our marriage in Korea. It really feels like a formality, as we have already tacitly made this bond between each other over these years and we know it inside. Besides, who else would quit everything to be a vagabond with me and make a movie about farming? To celebrate the ‘paper’ marriage, we had cake, dumplings, and pizza at Suhee’s parents’ home (the pizza is because her parents figure it’s something I must miss a lot when I’m away from America), and then the very next day the two of us left for a 10-day silent meditation course in the mountains of Korea. Not very romantic, I know. We joke that our honeymoon was to sit in silence and not talk to each other for 10 days. It actually wasn’t planned this way. A small ceremony (most likely with me wearing a colorful Korean “hanbok”) will follow this Autumn in Korea. This year, we’re keen to stop traveling so much, for once. It’s been a requisite of our work recently, and one that we’ve embraced, but at the same time it’s not necessarily a lifestyle we look forward to as a long-term plan. Suhee and I are now in the process of looking for a place to call home for a while; it’s another difficult to imagine thing for us, as we haven’t had the luxury of a place we could call home for these last five years! It’s getting to the point where ‘professional hobo’ could be added to our resumes with some degree of authenticity. Until then, wishing that warmth, love, and happiness makes its presence felt in your homes and lives this year in ample amounts! Love you! So proud of all you and Suheedo !! See you in Korea indeedee! I had missed an episode. I guess some congratulations to both of you are in order then!!! Can’t wait to read about your next adventures.